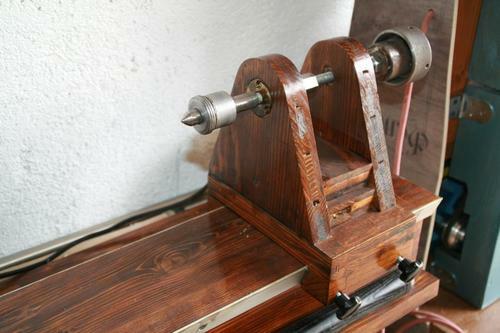 A wooden wood lathe. 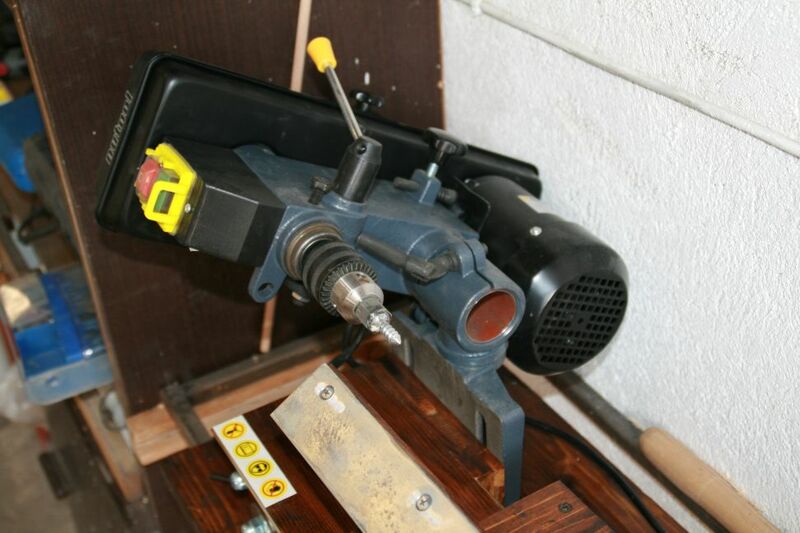 Mostly based on the design from Shopnotes #73, the major difference being that a drill press is used to drive it. 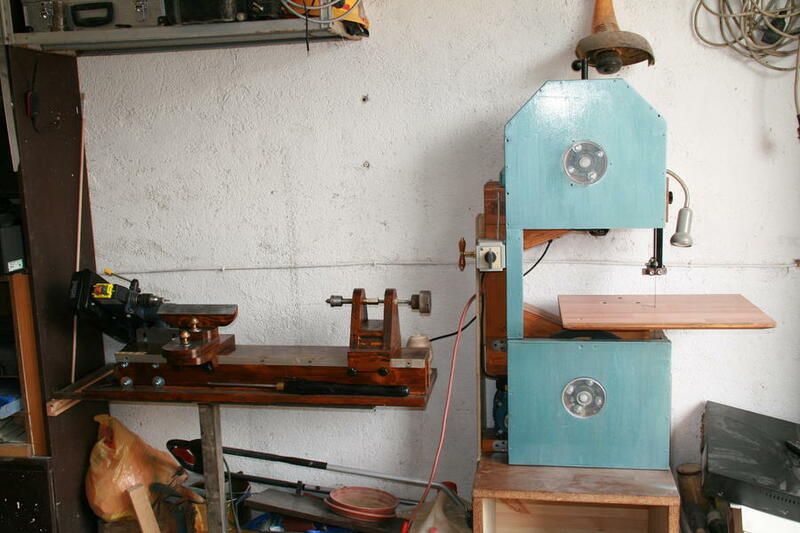 As you can see, it is a small drill press with the column cut off and attached to the bed over the drill table. This was far cheaper than buying 5 step pulleys, a motor, a NVR switch, chuck, bearings etc... The mechanism is bolted down so the drill chuck is fixed, improving runout a bit. Still need to make a back plate to fit the B6 taper of the drill and replace the drill chuck with a proper wood turning chuck. But even this works very well. The tailstock, a simple affair with a old MK1 live center modified so it can be bolted on the M12 screw acting as tailstock shaft. I'm really looking forward to seeing that table saw when he builds it, and I'm sure so are many readers, so I'll post any pictures Beri sends me. Love the looks of these machines - almost "steampunk" style! 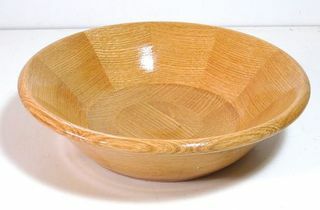 More reader projects on my woodworking website.